The model - one of two 12.8 metre standard liveried 'facelift' Enviro500 announced on 12th February 2019 and was released on 13th April 2019, the other features 6432 (63348/CM155). 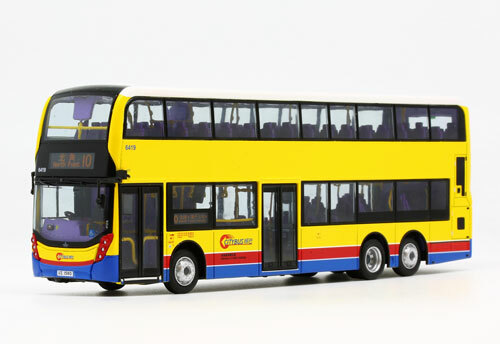 The bus - Citybus took delivery of one-hundred and fifty-nine 12.8 metre 'facelift' Enviro500s between December 2015 and August 2018 (fleet nos. 6401-6459) and 6419 was first registered on 25th August 2017. A batch of similar vehicles, but with additional luggage racks, are numbered 6501-6588. (This information is correct as at 12th February 2019).